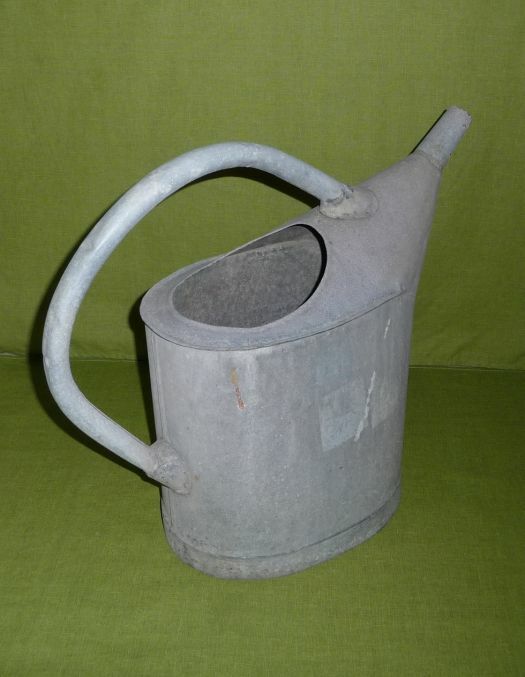 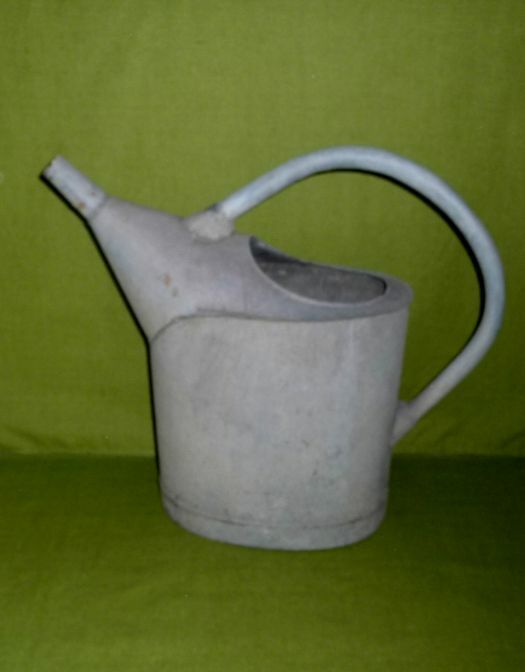 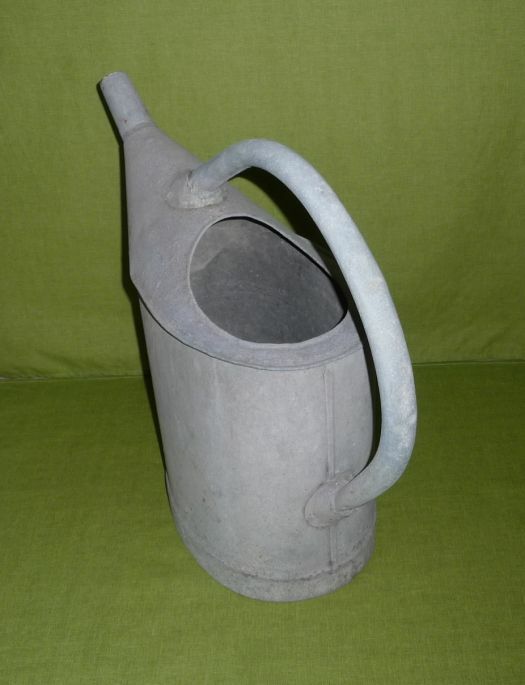 Rustic watering can in zinc, for use or decoration in garden or on balcony. 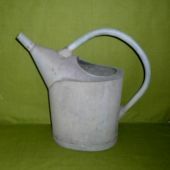 Condition is OK, it holds water, there are some stains made by old labels (last picture) and unfortunately the rain head has been lost. 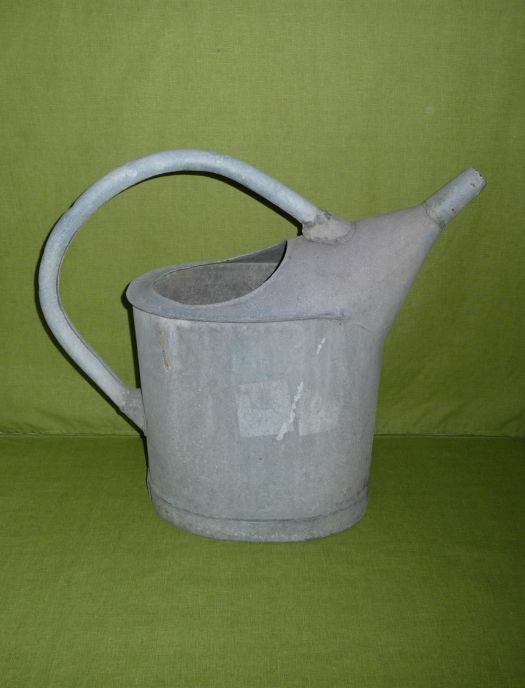 Length 50 cm ; total height 46 cm.